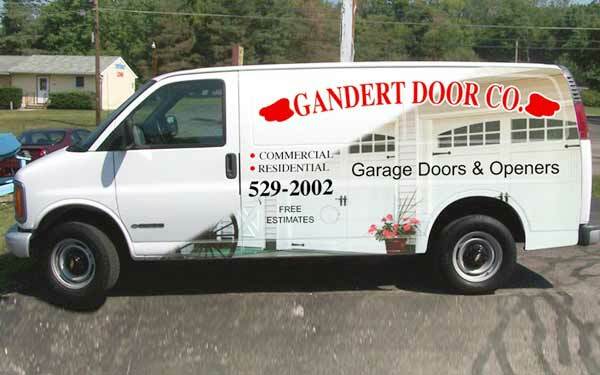 When it comes to servicing your garage door and garage door opener, Gandert Door Co. is your number one choice. No matter how large or small your doors are, we are your best choice in service. Most repairs can be done in the same day the call is received, from changing a broken spring, a cable, a bad car control or circuit board, or repairing a garage door damaged by a car, because we carry a full line of factory issued replacement parts in stock to do the proper repair . For your commercial/industrial needs, we have the most experienced staff and suppliers in the business. We service most suppliers on the following: sectional doors, rolling steel doors, fire doors, dock seals, electric door openers, counter doors, radio control equipment. If your problem is immediate and must be handled outside our normal working hours, we offer emergency service that is available 24 hrs a day, 7 days a week. 4.8 out of 5 stars on 29 reviews!